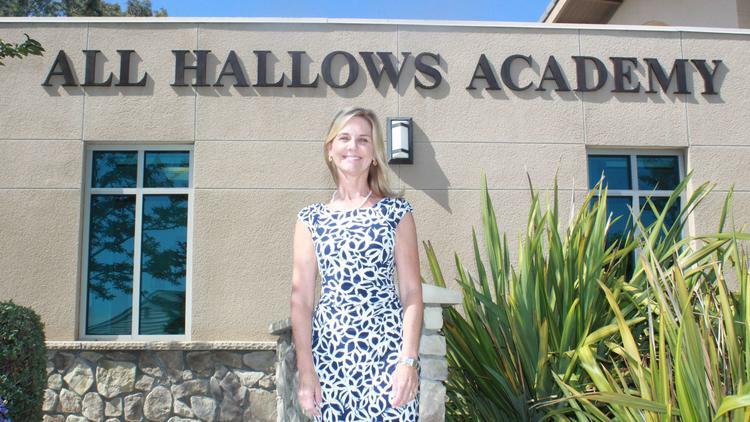 When All Hallows Academy’s new principal, Mary Skeen, says she has history at the Catholic school, she is not kidding. The La Jolla native’s parents were part of the founding group for the All Hallows Parish, and she was baptized there. Her children, Megan and Patrick, went to school there (before going to La Jolla High School), as did her husband, Mark. She taught at the school in a few different classrooms for 15 years before becoming vice-principal five years ago. Now, after a nation-wide search, Skeen has been appointed principal to succeed the retiring Jill Platt. Skeen will lead the 230-student (TK through eighth-grade) school located at 2390 Nautilus St.
Skeen got her teaching degree from the University of Southern California and is currently completing a teacher leader certificate from University of San Diego. Her first job was at St. Didacus in Normal Heights. After a brief hiatus to raise her children, she returned to teaching. With what little free time she has, Skeen said she likes to go to the beach and work in her garden. Skeen said her philosophy as principal will be to create and continue to create the environment of a Catholic generic cialis true education that supports students spiritually and emotionally, while challenging them academically, so they are prepared to enter whatever high school they choose. But at the forefront, are Catholic principles. “Faith Development is primary here, it takes precedence over anything in that we have it as a subject every day and it’s infused in all our subject areas,” she said. “We go to Mass every week. Our religious philosophy and our Character Development, in terms of our 10 Virtues, is very important. You find those virtues in a lot of different faiths, and those are the pieces we help children develop in terms of good character — being a good citizen in any community,” she said. The 10 Virtues are: Christian Witness, Compassion, Responsibility, Respect, Tolerance, Self-Discipline, Courage, Leadership, Cooperation and Honesty. 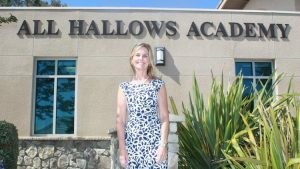 The All Hallows teaching staff is able to support that, Skeen said, because they are able talk about their personal beliefs in a way that could not be done in a public school, particularly the power of prayer. Error: Error validating access token: Session has expired on Thursday, 28-Mar-19 14:09:17 PDT. The current time is Saturday, 20-Apr-19 09:16:52 PDT.